H2 Solutions Inc. has set-up systems at Calaway Park, Calgary Olympic Park, as well as many golf courses. The long-range LD-250 lightning detector is helpful for advance planning as it can detect the storm up to 300 miles away. PC software give you the ability to track & display the storm's progression in real time. The LD-250 puts a virtual live lightning map on your computer screen. The short-range EFM-100 lightning detector is used for alerting of nearby thunderstorms (up to 24 miles/38 km away). The EFM-100 has the ability to detect high electric-field conditions which precede the first lightning strike. 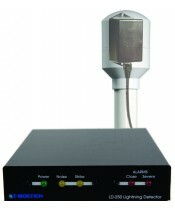 The EFM-100 is designed to provide a real-time reading of the electrical field in the atmosphere with a time versus e-field graph displayed on your computer. It will detect lightning strike distances accurate to within 1 mile. Combining the EFM-100 & EFL-10 in the ERL10-KIT1 Lightning Alarm Package enables high accuracy short range detection with modifiable output relay switches and time/status display software. The ERL10's high electric field alarm provides warning of imminent conditions where the first strike is more likely to occur. By combining the EFM-100 & LD-250 in the ERL10-KIT2 Lightning Alarm Package provides unsurpassed accuracy to detect short & long range lightning strikes. Also available are options with fixed or wireless interfaces back to a internet web based service, "RDANA Technology" allows for the real time messaging and GIS weather storm tracking live on your computer or phone, with email and/or text alerts. Boltek long-range lightning detectors are helpful for advance planning (tracking storms up to 300 miles/480 kilometers away) in real time on a PC or laptop. Boltek’s short-range EFM-100 lightning detector is used for alerting of nearby thunderstorms (up to 24 miles/38 km away) and also has the ability to detect high electric-field conditions which precede the first lightning strike. For close lightning strikes the EFM-100’s accuracy is unsurpassed. 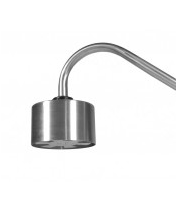 Boltek lightning sensors come with all the basic hardware and software required for monitoring live lightning data right away. The short range EFM-100 sensor can easily be run along side the long-range sensors (LD-250, and LD-350) for high accuracy short range detection with the ability to track storm movement for more advanced planning. 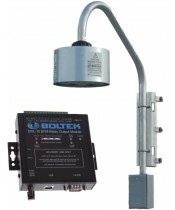 Boltek’s decades of experience, combined with state-of-the-art technology, lets them bring sophisticated lightning detection systems within the budget of most any organization or individual. The company, in conjunction with distributors like H2 Solutions in Canada, remains dedicated to their customers. Free software updates provide customers with the latest advances in the field of lightning detection; new methods of displaying data allow the user to spot trends in weather to help predict approaching storms. Boltek is working to make its lightning detection systems an important part of any weather station, across a wide range of industries.